The fire department has determined that a carelessly discarded cigarette was the cause of a deadly blaze that erupted shortly before midnight Tuesday, the police said. 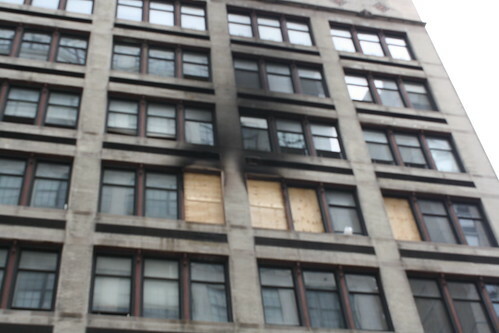 The fire originated on the fifth floor of 115 Fourth Avenue and was under control by 12:46 a.m., but not before it caused “extensive damage” to the fifth and sixth floors of the eight-story building, a fire department official said. Mary Bonnell, an 84-year-old sculptor, died before firefighters arrived, according to the police. In total, 78 firefighters responded to the scene, and one sustained minor injuries.